This blog is the third part of an article addressing factors that affect settlement of a workers’ compensation matter. Please see earlier blogs listing other factors that affect the settlement of a workers’ compensation case. Until then, if you have been injured at work or have any questions about workers’ compensation, call Powell Law today to consult with an experienced Pennsylvania workers’ compensation attorney. Any claim where an employer is paying benefits and there are no ongoing challenges or other issues is a claim that the employer’s insurance company wants to settle. Therefore, this circumstance has a positive effect on value. The fact that an insurance company is trying to modify, suspend, or terminate benefits, will have a negative effect on any settlement offer, especially if it believes the worker has made a full recovery. Sufficient, credible medical evidence is necessary in every case involving a work-related injury. Cases often primarily rely on expert medical testimony. Typically, the findings of the insurance carrier’s physician support a lower settlement than those of the claimant’s doctor. But, not only must a worker’s doctor produce medical evidence in the claimant’s favor, she must possess a sufficient level of credibility. A case often is decided because the WCJ found the evidence of one party to be more compelling and credible than that of the opposing party. The use of a doctor known to have submitted credible medical evidence in the past before a particular WCJ may increase the settlement value of a case. In turn, a doctor with little or no credibility may have a negative effect. 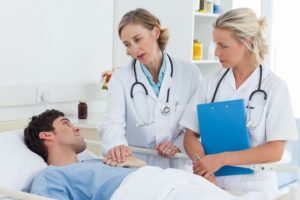 Injuries that cause or aggravate other injuries will increase the settlement value of a case, especially if such future treatment is perceived as expensive, specialized treatment. Please see later blogs listing other factors that affect the settlement of a workers’ compensation case. Until then, if you have been injured at work or have any questions about workers’ compensation, call Powell Law as soon as possible to consult with an experienced Pennsylvania workers’ compensation attorney. You have 120 days to report your work injury! For 113 years, our attorneys have represented all types of workers in workers’ compensation cases. Our decades of experience make us the clear and obvious choice for representation in workers’ compensation matters in the Scranton/Wilkes-Barre and surrounding areas. At Powell Law, we effectively assist clients throughout the entire workers’ compensation claims process. Consult an experienced Pennsylvania workers’ compensation attorney. Contact Powell Law at (570) 961-0777. The consultation is FREE!